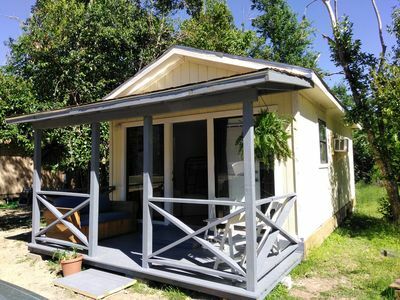 It has a private deck overlooking a 60-ft. dock and the lake! 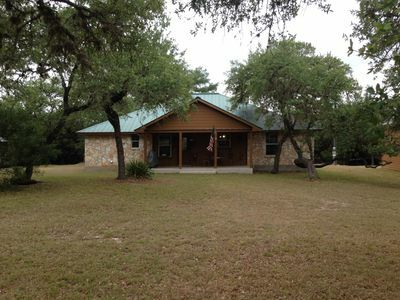 It is close to Bandera, Boerne, Kerrville, San Antonio, Sea World and Fiesta Texas. 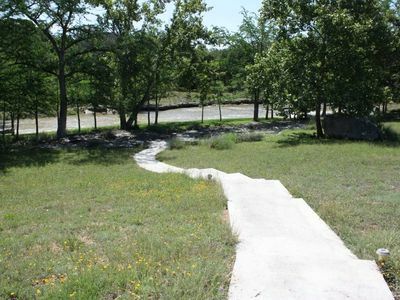 It is great for swimming, kayaking, fishing, boating, relaxing - and nearby golfing, hiking, biking and touring! Perfect for couples, families & solos. Free public boat ramp - one block away. 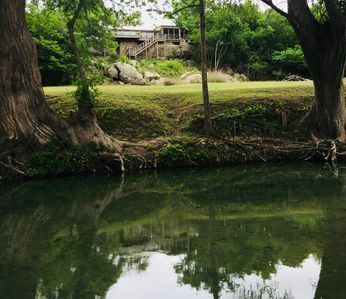 Other amenities: Kayaks, paddleboat, row boat, fishing gear, A/C & heat, ceiling fans, new 55" TV, DIRECTV+HBO, DVD player, gas & charcoal grills, round stone fire pit. 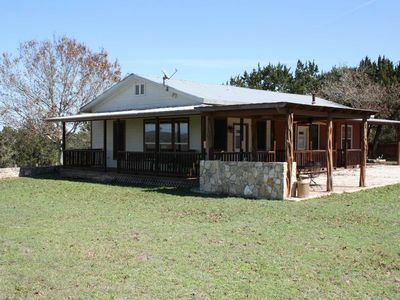 The Red Dock Retreat is located on beautiful Medina Lake near Bandera, TX. 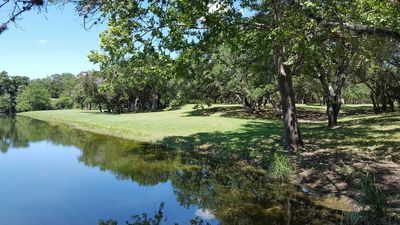 It has a 60-ft. dock and is located only 15 minutes from Bandera, TX (the "Cowboy Capital of the World"), 10 minutes from great golfing, and close to Boerne, Kerrville, San Antonio, SeaWorld and Fiesta Texas. 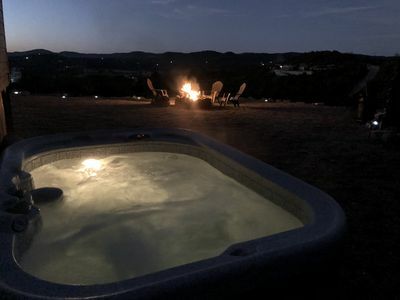 It is great for swimming, kayaking, fishing, boating and just kicking back, relaxing and enjoying the view! 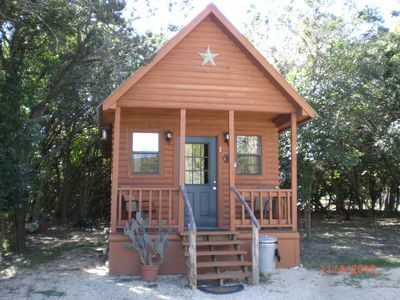 It's perfect for couples, families, and solo vacationers. 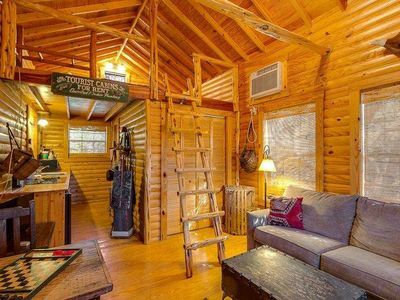 This is an ideal getaway spot! 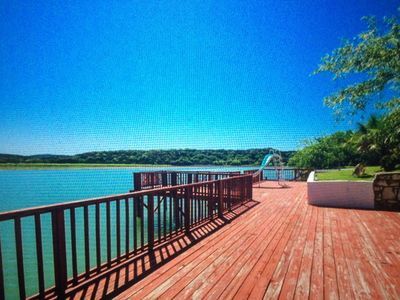 Enjoy your private deck while looking out over the huge red dock and lake. There is also a floating dock for easy access to the water. You can often spot deer and wild turkey on the shoreline across the lake. The free public boat launch is only a block away. 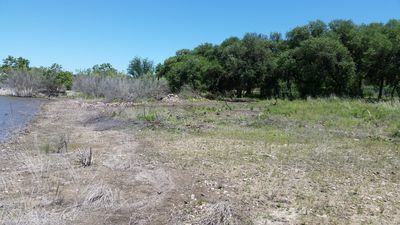 The 5,369-acre Hill Country State Natural Area is about 15 minutes away for hiking and cycling. 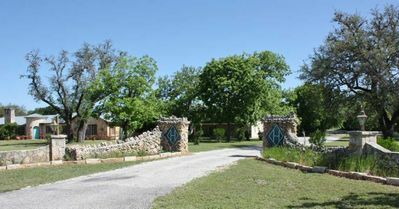 Take a drive through the scenic Texas Hill Country in any number of directions to explore the area. 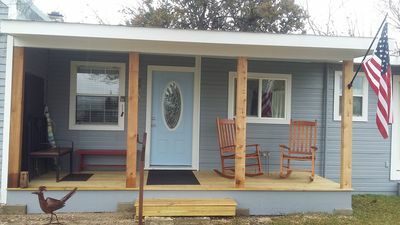 The lake house has 2 bedrooms, a fully equipped kitchen (stove with oven and range top, microwave/toaster, refrigerator, dish washer, coffee maker, all utensils, dishes and glassware, pots and pans), a bathroom w/ shower, washer & dryer. 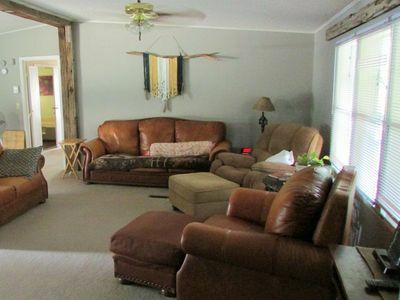 There are two queen beds, a full-size futon, a couch with a full sized hide-bed, and 2 single role away beds. 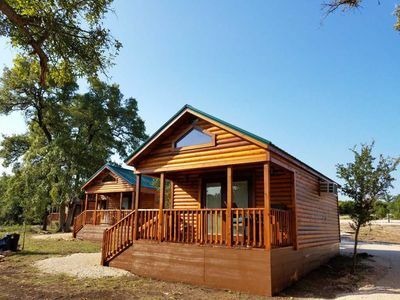 Other amenities include air conditioning and heating, ceiling fans, a 55’ 4K flat screen TV, DIRECTV+HBO, DVD player, a blue tooth portable speaker, a gas grill, a charcoal grill, a round stone fire pit and access to kayaks, a paddle boat, row boat and fishing gear. No telephone but reasonable cell phone service. All bed linens and bath towels and soap supplies are provided. If you need more room see our listing next door, The Dock Holiday In - it is a 3/2 that sleeps 10 guests. 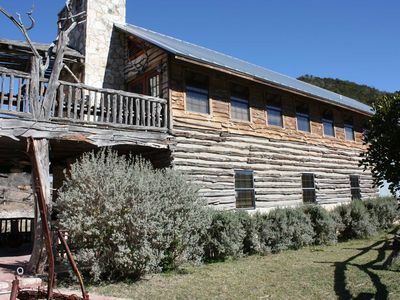 Or reserve both houses for gatherings up to 18 guests total! 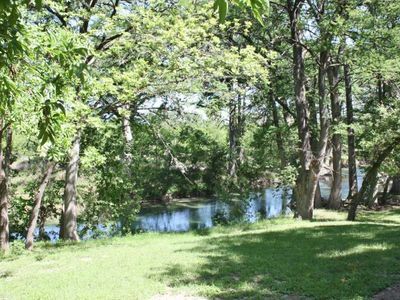 Charming vintage stone house right on the river! 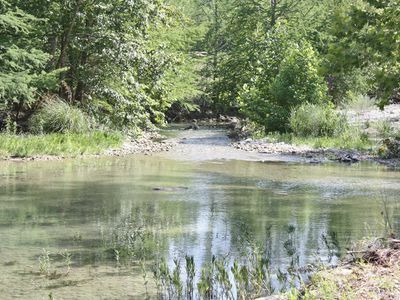 +2 miles of rare river access!! 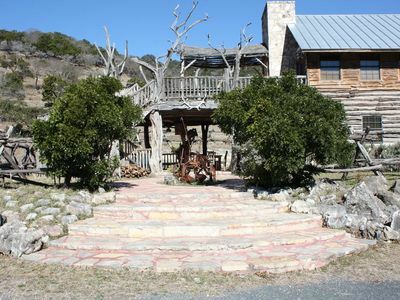 Texas Hill Country Bandera Luxury Getaway!! 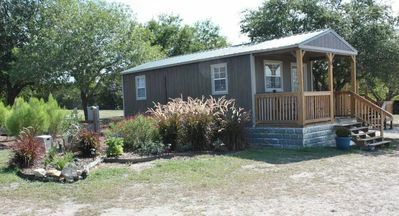 Newer log cabin on 2 acres less than 1 MILE from MAIN St ! Steps to MAIN & 11TH STREET. Covered parking. Rocking chairs on private porch.